María Novaro (born 1951) is a Mexican film director, known as a trailblazing figure in the New Mexican Cinema’s feminist movement. She studied sociology at the Universidad Nacional Autónoma de México before pursuing a degree in filmmaking at the Centro Universitario de Estudios Cinematográficos in 1980. After working as an assistant director for Alberto Cortés, she directed the short film Una isla rodeada de agua (An Island Surrounded by Water, 1985), winning a Silver Ariel Award for Best Short Fiction Film. Her short Azul celeste (Light Blue, 1987), which was included in the anthology Historias de ciudad (Stories of the City, 1988), marked the first manifestation of her signature motifs of feminist identity, Mexican nationalism and isolation. She would revisit these themes in Lola (1989), co-written by her sister, Beatriz Novaro. The film garnered numerous honors, including Silver Ariel Awards for Best First Work, Best Screenplay and Best Supporting Actor. Their follow-up collaboration, Danzón (1991), was a box office success and solidified Novaro’s reputation as an international director. Her subsequent works, El jardín del Edén (The Garden of Eden, 1994), Sin dejar huella (Without Leaving a Trace, 2000) and Las buenas hierbas (The Good Herbs, 2010), further explored feminist dynamics within a Latin American context. Her accolades include awards from Cannes, Sundance, the Valladolid International Film Festival and other international festivals. 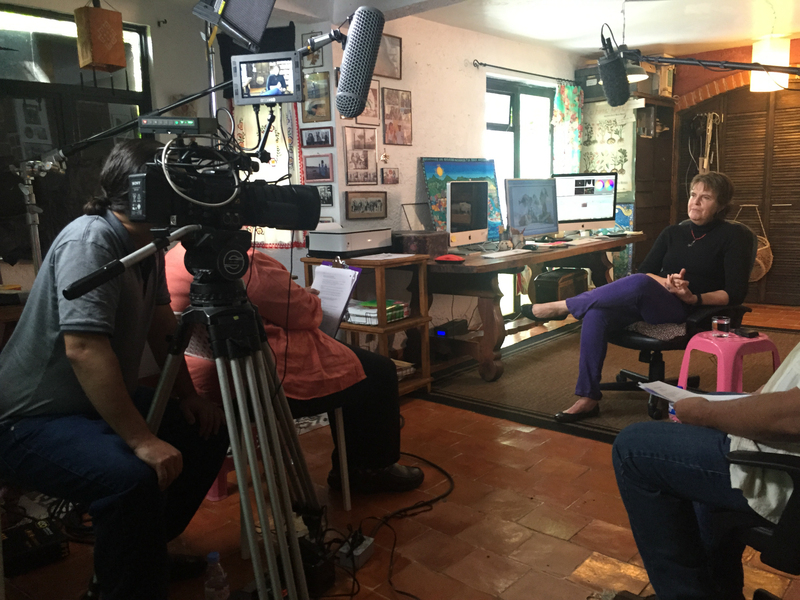 Director María Novaro is interviewed by Lourdes Portillo at María Novaro’s home in Mexico City on September 25, 2015. This is a co-production with the Getty Foundation’s Pacific Standard Time: LA/LA initiative and is part of the project From Latin America to Hollywood: Latino Film Culture in Los Angeles 1967-2017. Reminiscing about her earliest memories as a girl in Mexico City, Novaro shares stories about her family and growing up in a literary-minded household. She recalls her parents hosting salons for playwrights and novelists, which fostered her early interests in the arts, and relates how a brief move to Switzerland as a pre-teen broadened her horizons and helped her to view the world in a different set of cultural terms. 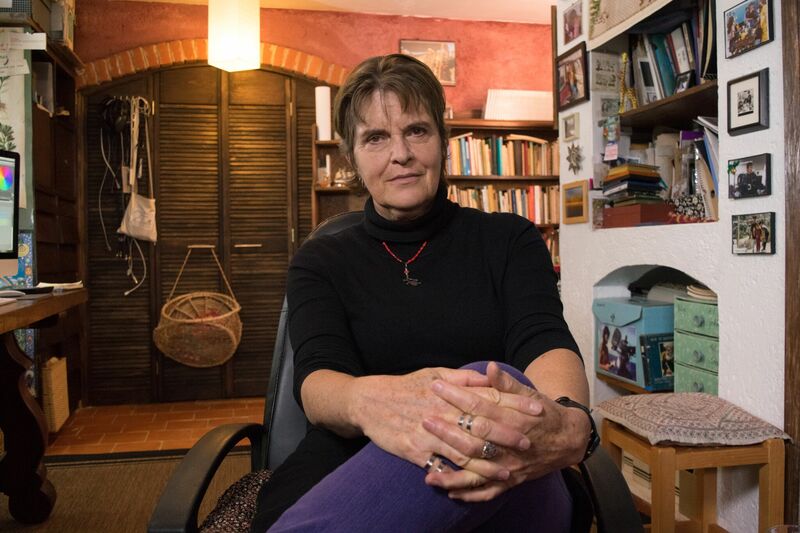 Novaro recounts her sociology studies at the Universidad Nacional Autónoma de México in the mid-1970s before she transferred to the Centro Universitario de Estudios Cinematográficos (CUEC) as a film major in 1980. 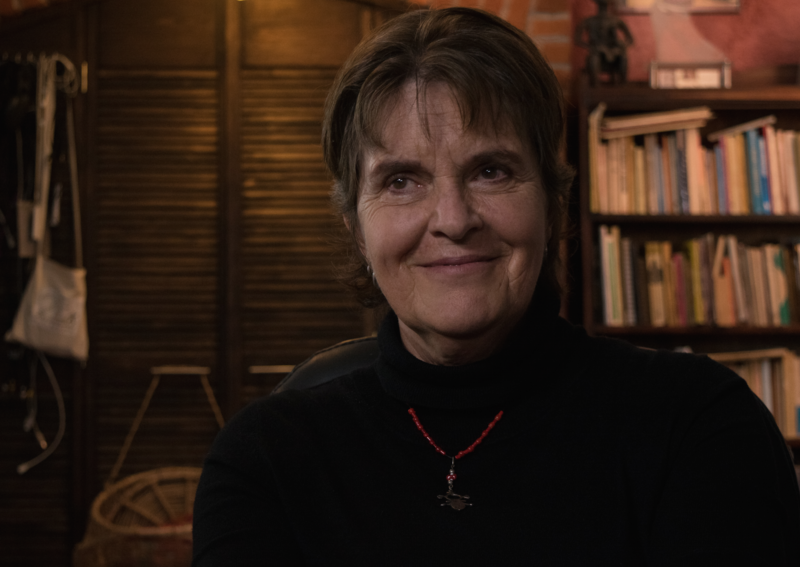 She describes the militant and feminist themes in her early CUEC shorts, before she directed Es la primera vez (It’s the First Time, 1981) for the Colectivo Cine-Mujer. Novaro explains her conflicts with the CUEC administration, which halted the production of her thesis film, Pervertida (Perverted, 1985). She discusses the challenge of making Una isla rodeada de agua (An Island Surrounded by Water, 1985), asserting that the Mexican film union’s sexism nearly prevented her from producing the project. She expresses gratitude for the film’s critical success, noting its significant launch for her directing career. Novaro talks about her first screenwriting collaboration with her sister, Beatriz Novaro, on Lola (1989). She details the experience of working together on their second project, Danzón (1991), which would become a critical and box office success. She provides insight into her guerilla directorial approach on El jardín del Edén (The Garden of Eden, 1994) and Sin dejar huella (Without Leaving a Trace, 2000), examining the polarizing feminist themes of each film. Reflecting on the changes in cinema technologies, Novaro speaks about shooting Las buenas hierbas (The Good Herbs, 2010) on digital video. She expresses admiration for the convenience of digital filmmaking and how it has forced her to re-learn her craft. She comments on lessons learned in her career, noting how collaborating in a collective environment is key to the filmmaking process. Excited about new technologies that have the potential to change the way films are shot and distributed, Novaro concludes with thoughts on new creative freedoms afforded to current filmmakers.